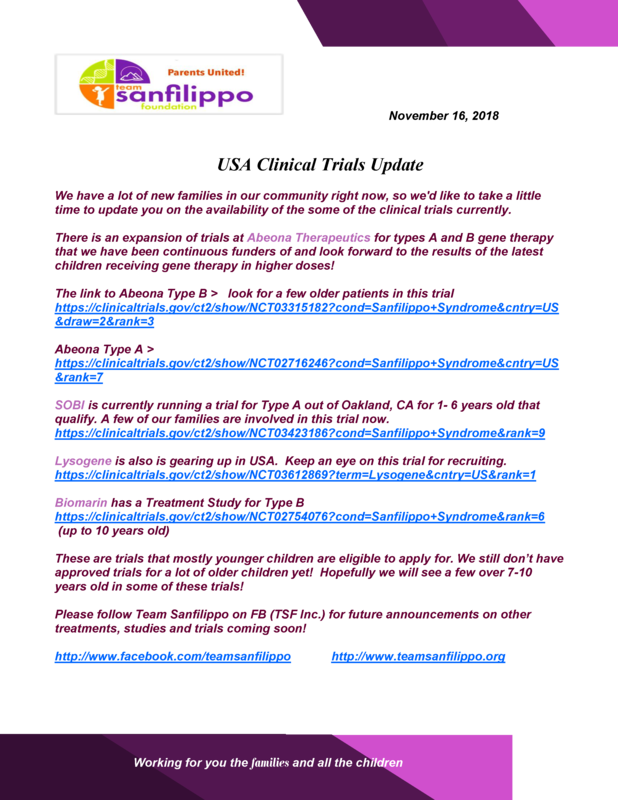 FEBRUARY 14, 2019 – FIRST CLINICAL TRIAL FOR ALL TYPES AND AGES OF SANFILIPPO SYNDROME ! Today TSF INC. (Team Sanfilippo Foundation) announces a clinical collaboration to evaluate the safety and efficacy of Bioblast’s proprietary Trehalose solution for the treatment of patients with Sanfilippo syndrome. Under the terms of the collaboration, TSF plans to conduct an open label study in up to 20 Sanfilippo patients, which will be followed for safety and efficacy. If successful, based on the results of such study, Bioblast may determine to continue the development of Trehalose towards a pivotal study for this extra rare disease while maintaining full commercial rights. TSF received FDA approval for this study was last week. This is something that we the board at TSF have done studies on in mice and researched about over a few years now! This has been a desire of our to bring to the children to bring a better quality of life to ALL TYPES AND AGES of Sanfilippo! 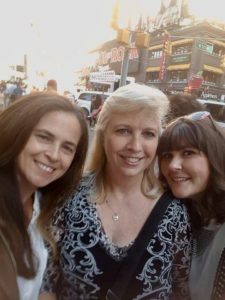 Thank you to our President Kathleen Buckley who has never given up in getting this passed thru the FDA and clinicians for the trials as well as Danielle our Treasurer, and Patty our Vice President who also met with the CEO of BioBlast and , Chief Medical officer and lawyers in NYC to present our case to the company for Sanfilippo! Last but most importantly, we want to THANK every person who has donated, held a fundraiser, raised awareness and supported TSF in anyway! Without you and the funding to be able to do this, this would not be happening. We will be gearing up to raise more funds, as we have another clinical trial waiting in the wings to bring out before Fall if all goes well ! Thank you so much, and we hope you will continue to support us as we search for that cure as well one day! Many trials are happening now, but none have been a proven cure YET! We are suspecting a combination of treatments may be needed to conquer the complexity of Sanfilippo! November 16, 2018 – We wanted to take this opportunity to post a list of trials happening currently in USA and some crossing over into other countries as well. Still no treatments for all children, but this is a step in the right direction. A few of the trials are trying to engage a few older children / adults if the criteria can be met in the testing stage. Thank for all your support, we are still pushing at getting more trials to both children and the older population. Follow us on FB at http://facebook.com/teamsanfilippo for more updates and happenings in our community as well ! For clickable links click doc attached ! The drug is being studied to prove its ability to clear undigested proteins from the lysosome by activating the Autophagy pathway (the body’s own garbage dump system). We will be able to move quickly to patient studies if the research proves the clearance of proteins. We are hopeful for positive results that may lead to a viable treatment to lessen the burden of the disease. We thank all our supporters for their ongoing fundraising efforts that allow us to fund research into clinically viable drugs to help our children in the short term. More help will be needed to fund a potential trial if we are successful and we will be ramping up fundraising to help us achieve our goals. Please contact us if you’d like to do fundraising for our Team. We cannot help our kids without your help. We are SUPER EXCITED about this!!! Please share this announcement with everyone!! The more who see it, the more donations we get, the more children! Updated: Dec. 2017 Below – We and several other foundations have funded and advanced more gene therapy trials with Abeona, and we at currently looking to finalize our contract and funding for this trial. Funds are critical to further these trial. A trial on average to treat 15-20 children costs average of 10 million. So again please.. these are trials, we need these to get done in order to get to hopeful FDA approved treatments. The cost is not cheap as we are so rare!! Drug companies don’t like investing in small populations. That’s why we need you!! Thank you! Team Sanfilippo grants $4,000,000 to open Phase 1B for three classes of patients; Children older than 7, children with AAV9 antibodies, and children previously treated with ert. Armagen almost under contract for type A now.. Dec 2017!! A Christmas Blessing if we finalize this for all ages! This process looks promising for so many neurocognitive diseases. Please read our latetest in “Whats Happening” on how you can help. We have partnered with Armagen and have met with FDA to move this forward to our Sanfilippo kids by years end or first quarter of 2018! Team Sanfilippo is preparing to do a 6 month research study on MMJ for sleep, dystonia and hyperactive behavior. We would like to see if there is any interest in our Sanfilippo community. The criteria is that you have to live in MMJ legal state, not be on MMJ currently, have a MMJ doctor to prescribe and follow patient and have one of the three symptoms. We feel that if we could have a published research specifically on improvements with Sanfilippo then we could get better access to MMJ. We constantly are working on improving quality of life and we believe that MMJ may be able to improve sleep and movement disorders and we hope to be able to prove it through a clinical study. October 5, 2016- With first rounds of gene therapy in Type A proving safe thus far, Abeona Therapeutics Announces Data Safety Monitoring Board Approves ABO-102 Dose Escalation for Second Cohort in Phase 1/2 Clinical Trial for Sanfilippo Syndrome Type A. This is wonderful news and things are going as planned thus far for the trials. We are so happy this is finally happening after the research that started out 18 years from one family organization, “Ben’s Dream”. Unfortunately their son never got see the treatment. In Honor of Benjamin Siedman, we pray this therapy works! For the past 10 years Team Sanfilippo and many others have organized to pool our money together for this therapy! Now it is time to continue on for treatments for quality of life for ALL the kids who do not qualify for this trial or treatment! This one thing Team Sanfilippo has always and will always do, is work for treatments for ALL Sanfilippo kids at different stages of the disease, not just a cure the young one! The family foundations who have worked so hard over the many years can be happy for future generations, but as for their own children they will never see the cure and those who are still with us, still continue to decline and all desperately need quality of life treatments. Please continue to fund raise, donate and share with others, as watching the suffering of these children while the doctors having no answer is cruel. We at TSF work to fill that gap! Biomarin enrolls first patient with Sanfilippo B …. Abeona Therapeutics, Inc. (ABEO), a biopharmaceutical company focused on developing and delivering gene therapy and plasma-based products for severe and life-threatening rare diseases, today announced the Interministerial Council of Genetically Modified Organisms has approved the Genetically Modified Organism (GMO) Voluntary Release regulatory filings for both Phase 1/2 Gene Therapy Clinical Studies to treat patients with AB0-101 (AAV NAGLU) and ABO-102 (AAV SGSH) for patients with Sanfilippo syndrome type A (MPS IIIA) or type B (MPS IIIB). Additionally, the Comite Etico De Investigacion Clinica de Euskadi (CEIC-E) has approved the ethical committee regulatory filings for both ABO-101 and ABO-102. The Company plans to file CTAs for both programs shortly for the upcoming clinical studies to be conducted at Cruces University Hospital (Bilbao, Spain). “Sanfilippo syndromes type A and B are devastating lysosomal storage diseases that affect children around the world. These gene therapies, delivered as a single, non-invasive intravenous injection, offer a new and promising treatment paradigm for patients with this relentless disease,” commented Luis Aldámiz-Echevarría, M.D., PhD., Principal Investigator of the clinical trials and Associate Professor in the Faculty of Medicine at the University of the Basque Country (Spain), Paediatrician in the Department of Paediatrics at Cruces University Hospital (Spain) and Principal Investigator of the Metabolic Inherited Disorders Group and the Metabolomics and Proteomics Platform at BioCruces Health Research Institute (Spain). About Abeona: Abeona Therapeutics, Inc. develops and delivers gene therapy and plasma-based products for severe and life-threatening rare diseases. Abeona’s lead programs are AB0-101 (AAV NAGLU) and ABO-102 (AAV SGSH), adeno-associated virus (AAV)-based gene therapies for Sanfilippo syndrome (MPS IIIB and IIIA). We are also developing ABO-201 (AAV CLN3) gene therapy for juvenile Batten disease (JBD); and ABO-301 (AAV FANCC) for Fanconi anemia (FA) disorder using a novel CRISPR/Cas9-based gene editing approach to gene therapy program for rare blood diseases. In addition, we are also developing rare plasma protein therapies including SDF Alpha™ (alpha-1 protease inhibitor) for inherited COPD using our proprietary SDF™ (Salt Diafiltration) ethanol-free process. For more information, visit www.abeonatherapeutics.com. This press release contains certain statements that are forward-looking within the meaning of Section 27a of the Securities Act of 1933, as amended, and that involve risks and uncertainties. These statements include, without limitation, our plans for continued development and internationalization of our clinical programs, management plans for the Company, and general business outlook. These statements are subject to numerous risks and uncertainties, including but not limited to continued interest in our rare disease portfolio, our ability to enroll patients in clinical trials, the impact of competition; the ability to develop our products and technologies; the ability to achieve or obtain necessary regulatory approvals; the impact of changes in the financial markets and global economic conditions; and other risks as may be detailed from time to time in the Company’s Annual Reports on Form 10-K and other reports filed by the Company with the Securities and Exchange Commission. The Company undertakes no obligations to make any revisions to the forward-looking statements contained in this release or to update them to reflect events or circumstances occurring after the date of this release, whether as a result of new information, future developments or otherwise. FOR IMMEDIATE RELEASE Abeona Therapeutics Raises Foundation-led $3.6M to Develop Therapies for Children Suffering from Rare Sanfilippo Diseases Cleveland, OH, December 1, 2014 – Biotechnology startup Abeona Therapeuticsannounced today it closed $3.6 million to complete preclinical development of therapies for children with Sanfilippo syndrome (mucopolysaccharidosis type III, MPS III), a rare terminal genetic disorder that results in death in children before they reach their mid-teens. 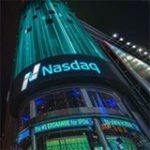 Investors include U.S.-based Cure Sanfilippo Foundation, Sanfilippo Research Foundation (SRF), Team Sanfilippo, the Abby Grace Foundation, and the National MPS Society. Abeona also generated strong support from the international Sanfilippo community, with investments from Spain-based Stop Sanfilippo and Sanfilippo B Foundation, Geneva, Switzerland-based Fondation Sanfilippo and Mexico-based Red Sanfilippo Foundation. Support for the program has also been provided by The Children’s Medical Research Foundation, Inc. (CMRF) and Canadian led Sanfilippo Children’s Research Foundation (SCRF). Sanfilippo syndrome is a group of 4 deadly genetic diseases resulting from the body’s inability to properly break down certain sugars. Symptoms often appear in the first year of life, and the disease causes progressive muscular and cognitive decline in children after the age of two. There is no cure and currently no approved treatments for Sanfilippo syndrome. As such, children afflicted with Sanfilippo syndrome experience progressive loss of speech, the ability to eat and walk, and rarely live past their second decade of life. Abeona Therapeutics is focusing initially on gene therapies for Sanfilippo syndrome types A and B. “We are excited to be working with Abeona and the impressive world-wide collaboration of Sanfilippo foundations they have organized. Their emphasis on developing minimally-invasive treatments is reassuring as a parent. The dedication and approachability of the team has built confidence in the program and allows foundations to feel connected to the pursuit of a cure,” said Kathleen Buckley, President of the Team Sanfilippo Foundation. Time is a critical factor for children with Sanfilippo syndrome: 70% of the children with the disease will not reach their 18th birthday. “We are poised to initiate clinical trials in early -to-mid 2015 for these much needed therapies,” said Kevin Flanigan, MD, principal investigator, Center for Gene Therapy, and neurologist at Nationwide Children’s Hospital and Professor of Pediatrics and Neurology at The Ohio State University College of Medicine. He is also principal investigator for the ongoing Sanfilippo Natural History Study and upcoming gene transfer trials at Nationwide Children’s. The collaborative efforts of Abeona, the supporting Sanfilippo foundations, and Nationwide Children’s Hospital were recognized by receipt of the Global Genes “RARE Champion of Hope” Collaborations in Advocacy award in late 2013 and by recent support from the National MPS Society. “The mission of the National MPS Society is to support promising therapies for these devastating, rare diseases, and we are pleased to support Abeona’s progress towards clinical trials, ” said Barbara Wedehase, Executive Director. Cleveland-based Abeona Therapeutics is a start-up company focused on developing gene therapy based treatments for patients with lysosomal storage diseases, with lead products focusing on MPS IIIA and IIIB. Abeona Therapeutics received Orphan Product Designations for MPS IIIA and IIIB in 2014 and clinical trials are anticipated to begin in early-to-mid 2015. About Abeona Therapeutics Abeona Therapeutics – named after the Roman Goddess who is the protector of children – was formed in early 2013 to help focus the search for a cure for Sanfilippo Syndrome and provide a unifying voice between patient advocate groups, researchers, clinicians and investors. Abeona Therapeutics is the result of collaborative efforts between Nationwide Children’s Hospital and multiple international patient advocate groups for developing Sanfilippo therapies. The collaboration has helped focus parents and caregivers on a leading therapy with broad potential to provide long-term benefits to children with Sanfilippo Syndrome. Clinical trials for Sanfilippo types A and B are anticipated to begin in early-to-mid 2015. About Nationwide Children’s Hospital Ranked 7th of only 10 children’s hospitals on U.S. News & World Report’s 2014-15 “America’s Best Children’s Hospitals Honor Roll” and among the Top 10 on Parents magazine’s 2013 “Best Children’s Hospitals” list, Nationwide Children’s Hospital is one of the nation’s largest not-for-profit freestanding pediatric healthcare networks providing care for infants, children and adolescents as well as adult patients with congenital disease. As home to the Department of Pediatrics of The Ohio State University College of Medicine, Nationwide Children’s faculty train the next generation of pediatricians, scientists and pediatric specialists. The Research Institute at Nationwide Children’s Hospital is one of the Top 10 National Institutes of Health-funded free-standing pediatric research facilities in the U.S., supporting basic, clinical, translational and health services research at Nationwide Children’s. The Research Institute encompasses three research facilities totaling 525,000 square feet dedicated to research. More information is available at NationwideChildrens.org/Research.